What Smart Parking Architecture Is Best For Your City? For a city’s residents and visitors, ease of travel is imperative. It significantly reduces the stress drivers experience, resulting in happier drivers that increase tourism revenue. As a result, we now see a proliferation of smart parking initiatives being launched around the world. Each of these initiatives is producing results. In most cases, we see a reduction in the amount of time it takes for people to find parking spots, and in many cases, increased revenue for the parking operators. Smart parking, however, is just beginning. There are many different approaches to implementing this technology. We’ll discuss these different approaches so you can discern how it can improve your city. When designing the architecture for smart parking, decisions have to be made at each stage. But the first step is not choosing the sensors. Instead, we must determine the business reason for doing this project. What information does a customer need from the smart parking application? What decisions do they plan to make as a result? Is the smart parking application a standalone system, or does it need to integrate into other IoT initiatives? Does it have to monitor parking spots on level parking lots only, or does it need to include parking garages? These are a small sample of the type of questions that need must be answered before attempting to define the architecture. The third step is to design the architecture to meet the business reasons and functional requirements. There are four key decision areas. In-ground sensors have been around for many years and have improved dramatically since their introduction. The current sensors are no longer basic magnetic sensors but include edge processing computers that tell whether the vehicle they detect is a car or just a truck driving by. This processing capability has created smarter sensors that also have the ability to communicate directly with a LoRa network to become very low-cost communication vehicles. In-ground sensors also contain Bluetooth radio technology to enable further capabilities. Available in embedded and surface mount configurations, these sensors run on little power — up to ten years on the same battery! As they do not require power or networking connections, this makes them very easy to install. In-ground sensors are perfect for parking spots that are not readily visible due to trees or other overhead obstacles or in parking garages. Visual recognition sensors are mounted on street lamps and can observe up to 300 parking spots per sensor. They are excellent for monitoring street level and parking lot parking spots. This technology has the benefit of not being impacted by snow, vandalism or road work. As a result, the maintenance costs are lower than with in-ground sensors. Visual recognition sensors also can define the specific size of the parking spots so users will know if their car will fit the available parking spot. Visual recognition sensors generally work on a four-point GPS system. Visual recognition sensors do not work in a parking garage. Visual recognition sensors also require more networking bandwidth and must communicate on a WiFi, hardwired LAN, or cellular network. With many obstructions that impede clear visibility of parking spots, parking garages need different sensors. An ultrasonic sensor is a good solution for this type of challenge. Placed above a parking spot on the ceiling to detect a car’s presence, this sensor needs both a network and power connection to operate. One sensor is required per parking space. CCCT cameras are an excellent choice for a parking garage. These sensors can monitor three to twelve parking spots from one camera (depending on the type of camera chosen) and add the ability to capture license plates. Cameras will also provide video security monitoring within the parking garage. Data and power is provided by one Ethernet cable (PoE). In-ground sensors transmit very little data in comparison to visual recognition sensors. A LoRa network is an excellent solution for this type of device. It communicates using MQTT protocols and requires an MQTT broker to be included in the architecture to transfer the data from the sensor to the application software. Visual recognition sensors demand significantly more communication, requiring a WiFi or 3G network and approximately 7.5 GB of data transmission every month. Both in-ground and visual recognition sensors require edge processing. In-ground sensors need to have the ability to determine whether the metallic load it is sensing is a car in its parking spot or a large truck driving by on the street. In the case of visual recognition systems, there are restrictions on the amount of video information that can be distributed. Continuous transmission puts a significant demand on the bandwidth of a Wi-Fi network. Some countries do not permit video surveillance. In these areas, video images cannot be transmitted and must be rendered at the point of capture to show if the parking spot is occupied. This requires significant computing power in the sensor’s edge processor. The application software delivers the majority of the user functions. When determining the best solution, there are many factors to consider. Data collection and access, data analytics and mobility functions are three main areas that should be part of your decision making process. Some systems can be implemented very quickly and are excellent choices for quick pilots. However, these same systems may have data integration limitations and become very expensive as the number of parking spots increase. A pricing model based on the number of parking spots monitored may look good when you are monitoring 100 spots, but it can get costly when managing 4000 spots. The data access limitation can also be an issue if you wish to publish the data to other analytical systems for more in-depth analysis or to an open data model. 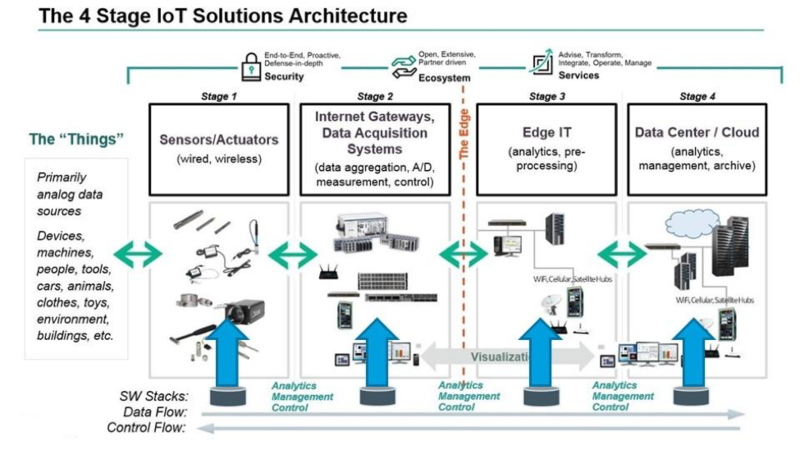 Ease of integration with other IoT systems is another critical area to consider to ensure a smart parking system can support a comprehensive citywide IoT architecture. Bad Hersfeld is known for its yearly Bad Hersfelder Festspiele opera festival and concerts along with its popular farmers market held near the center of the city. During these times, traffic causes significant congestion throughout the city. The solution implemented LED screens to display the parking lot availability and were able to integrate these screens into other systems. Used to transmit critical information to drivers (including emergency notifications, critical citywide announcements and information about events in the area), these screens created a unique and progressive approach to managing a city’s parking. The ability to leverage the solution for multiple uses extended the ROI. Constructing any new building depends on well designed architecture. That architecture must be built on a solid foundation of business requirements with a clear set of functional specifications. Otherwise, the new building will not meet the needs of its occupants and owner. The same concerns have to be considered when building a smart parking solution. The goal of the smart parking solution implemented in Bad Hersfeld was to increase the quality of life for visitors coming into their city and for the people who call Bar Hersfeld their home. As a result of the city’s leadership, foresight, and commitment to delivering a better parking experience, they were able to address the challenges their city faced. Bill is the Digital Strategist for FoxNet Solutions. 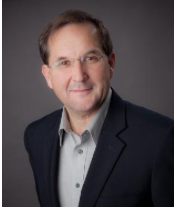 Formerly the Cloud Chief Technologist for Hewlett-Packard Enterprise Canada, Bill has provided Hybrid IT and IoT Strategic Planning advisory and planning services to over fifty Private and Public sector clients to help them migrate to a Hybrid IT Cloud Operating model. These transformation plans have helped both government and industry reduce the cost of IT, re-engineer their IT governance models, and reduce the overall complexity of IT. Bill is also a member of the Open Alliance for Cloud Adoption Team and has co-authored several documents on Cloud Maturity and Hybrid IT implementation. By signing up to gain access to FoxNet's Smart Parking Case Study, you consent to receive occasional updates from FoxNet regarding data safety, security, and other FoxNet news. We will never spam you, and we will never provide your email address to any third party. Your subscription preferences can be changed at any time. By signing up to gain access to FoxNet's resource section, you consent to receive occasional updates from FoxNet regarding data safety, security, and other FoxNet news. We will never spam you, and we will never provide your email address to any third party. Your subscription preferences can be changed at any time. By signing up to gain access to FoxNet's material, you consent to receive occasional updates from FoxNet regarding data safety, security, and other FoxNet news. We will never spam you, and we will never provide your email address to any third party. Your subscription preferences can be changed at any time.